Hot box hire with this 18 tonner GVW side tipper is available both short and long term, and can be arranged for delivery or collection at your preference. Our depots are placed conveniently throughout the UK to ensure that all locations are catered for, so get in touch for your hot box requirements today. The specifications below outline the important information for this particular hot box, and the attached PDF should cover any other details you need. Don’t hesitate to get in touch if you need help with your hot box hire. Tipper body between cab and Hot Box discharging to N/S. Delivery/Collection service available with Hot Box hire. Full refurbishment facility available for customers own vehicles. 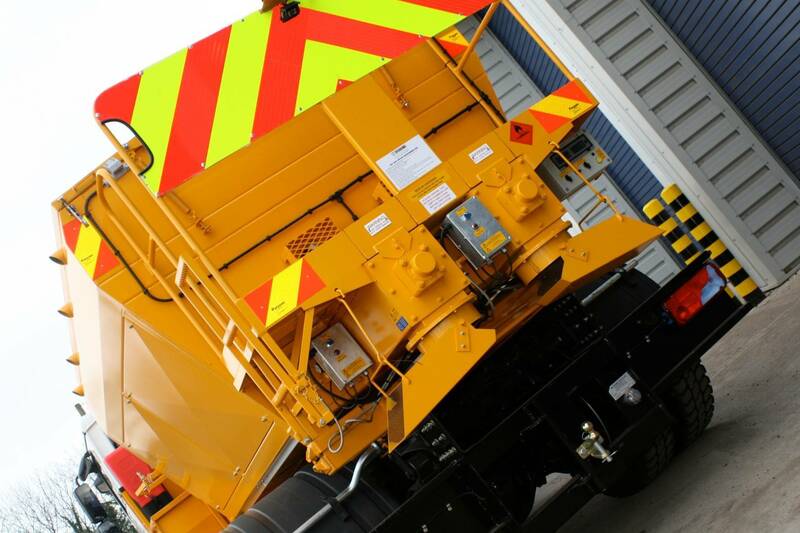 The 18 tonne hot box with side tipping body is incredibly popular for construction, highway maintenance, civil engineering and municipal industries. 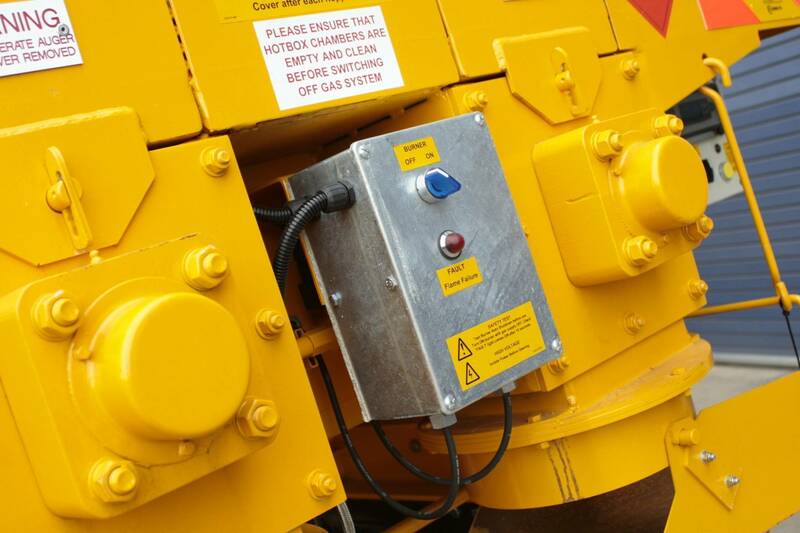 It features fully insulated containers and a tipper body between cab and hot box discharging to N/S. 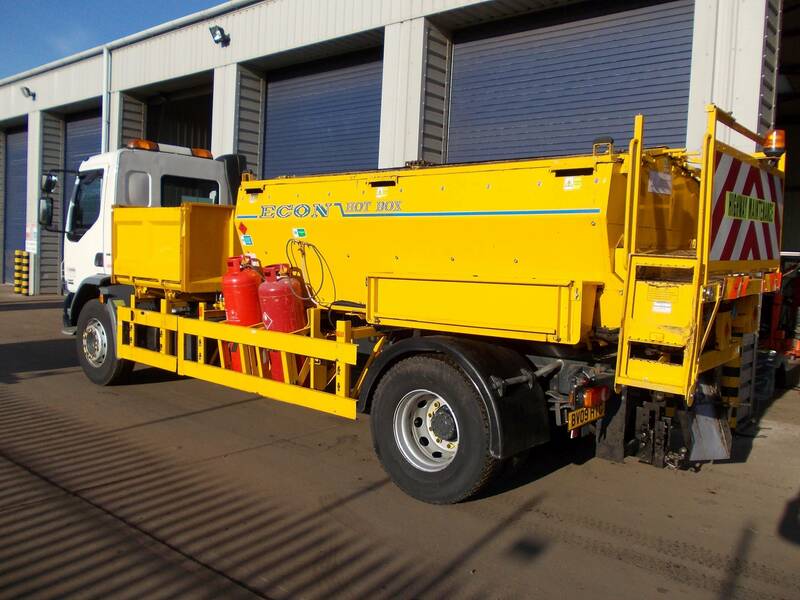 The payload is approximately 9 tonnes and the gas system is thermostatically controlled to give full control over the temperature of your road surfacing materials. Towing equipment is also available with this hot box hire.